Dying isn’t always an Earth-friendly business. Decomposing bodies in coffins buried in the ground emit large amounts of methane, a harmful greenhouse gas. That, along with the formaldehyde that’s used to get the body preserved for burial makes for not-so-sustainable burial practices. And while the vast majority of people opt for either traditional burial or cremation, there are other ways to be memorialised that do less damage to the planet. Developed by Italian designers, this sustainable burial practice will turn your remains into tree food. 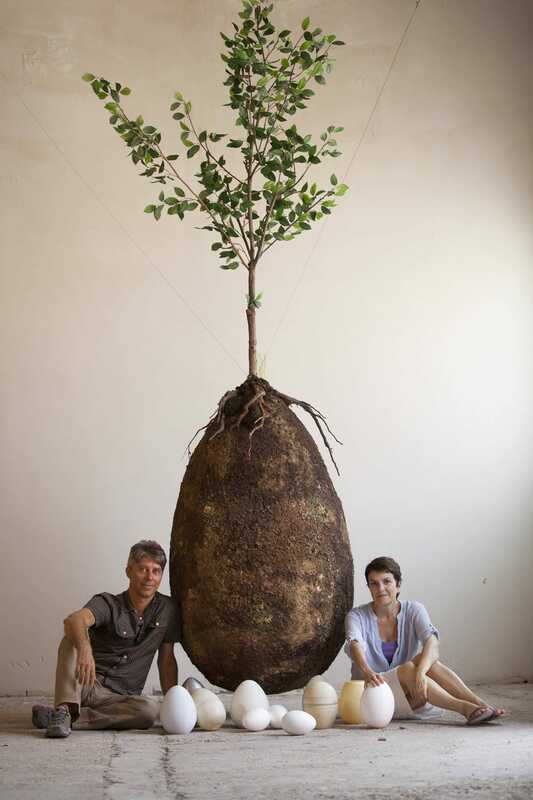 Anna Citelli and Raoul Bretzel, the creators of Capsula Mundi (pictured here) want to change the way Italy buries its loved ones with their pod-like design using eco-friendly materials. Traditionally, families buring their loved ones will have them embalmed, so that the decomposing process doesn’t start right away. Usually, this is done with formaldehyde, a known human carcinogen (which, of course doesn’t affect those being embalmed, but rather those doing the embalming). Instead, some people are turing to dry ice (frozen carbon dioxide) as a way to keep bodies preserved until they are interred. This keeps the body from decomposing without needing embalming, though you do have to change out the ice every day. Though carbon dioxide is a greenhouse gas, the amount released from the dry ice used in body preservation is a pretty small percentage of overall CO2 emissions. 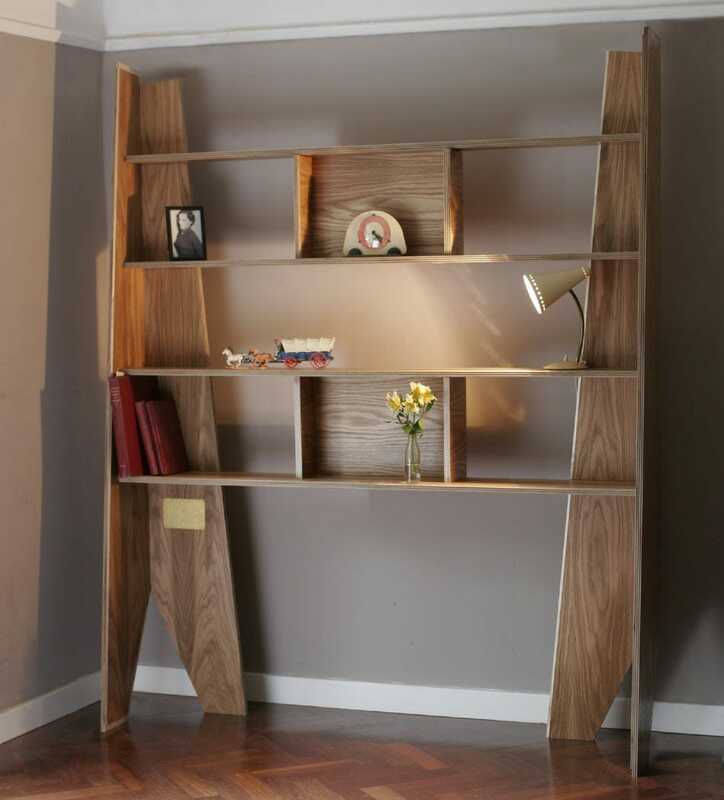 Instead of using your wooden coffin only as your final resting place, William Warren had the idea of making a set of shelves that can be converted to a coffin when the time is right. This upcycled version makes the wood useful for longer, and as Warren remarks on his website, “the wood will colour, the surfaces will mark and stain and over the years and the furniture will become a part of you.” Warren designed the shelves and debuted them at the 2005 London Design Festival, though you can ask him for directions on how to may your own set of shelves-turned-coffin. Plus, you get the added fun of telling all your guests about it while giving them a tour of your house and seeing their bewildered expressions. If you do decide to stick to traditional burial methods, using a more natural way to mark your grave could be a great way to have a more sustainable burial. Headstones and mausoleums made of stone take a lot of energy to make. Choosing a tree or an unprocessed rock as a marker could be a way to go out of this world without leaving even bigger of a carbon footprint. Having your body cremated may seem like the best way to have a sustainable burial, but in most cases it’s not great for the environment. For example, in the UK, cremation contributes to 16% of all mercury pollution. And, as The Atlantic reported, it takes about two SUV tanks worth of gas to cremate a body. Instead, people have been turing to “green cremation,” done using alkaline hydrolosis. The process dissolves the body into a liquid, but in the end the body can still be returned as ashes, just using much less energy. Not interested in having a more sustainable burial, but still looking for a way to go out of this world in style? 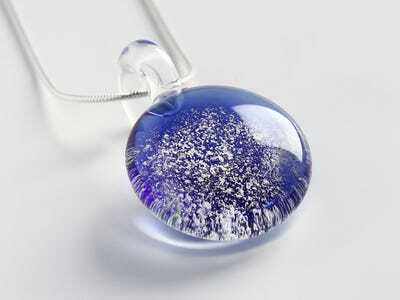 Get your ashes turned into a piece of jewellery. Whether it’s a gem stone or a glass pendant from Grateful Glass, your loved ones will hold on to a piece of your cremated ashes in a tasteful, beautiful way.